City's Centre for Human Human-Computer Interaction Design joins forces with Systema Solutions to develop software which will deliver improved care for older people. As part of an innovative two-year Knowledge Transfer Partnership (KTP) project, City University London's Centre for Human-Computer Interaction Design (HCID) will be collaborating with Systema Solutions to design, implement and bring to market new software capabilities that will deliver better care for the elderly within the UK care home sector. The project will draw on software apps which have already been developed in the EU-funded Mirror research project to investigate, design, implement and evaluate new forms of software, mobile and otherwise, which care staff can use to develop a better understanding of their residents. This new collaboration will have a strong emphasis on designing and implementing usable and effective software that can be instantly applied in different UK care settings. "The project will seek to develop software developed as part of the EU-funded Mirror project to improve person-centred care in residential homes that can be offered as a commercial solution to residential homes. 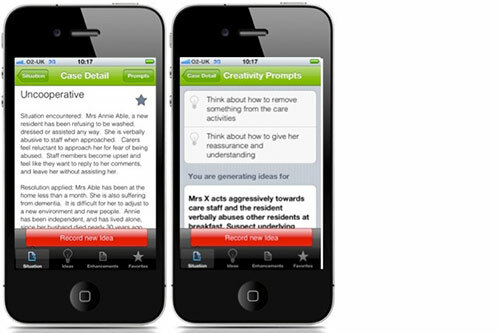 The software developed in the Mirror project uses mobile and complex text processing technologies to capture information about resident care notes and challenging behaviours in order to improve care." During the new project, City academics will recruit a Software Developer to guide Systema Solutions to develop new software solutions. The collaboration started this month after a series of roadshows to software providers to the UK care sector. Please contact the Centre for HCI Design for further information about the Software Developer role.